The waterfront of Boston shown in this photo includes a engagement photo of a couple at sunset. 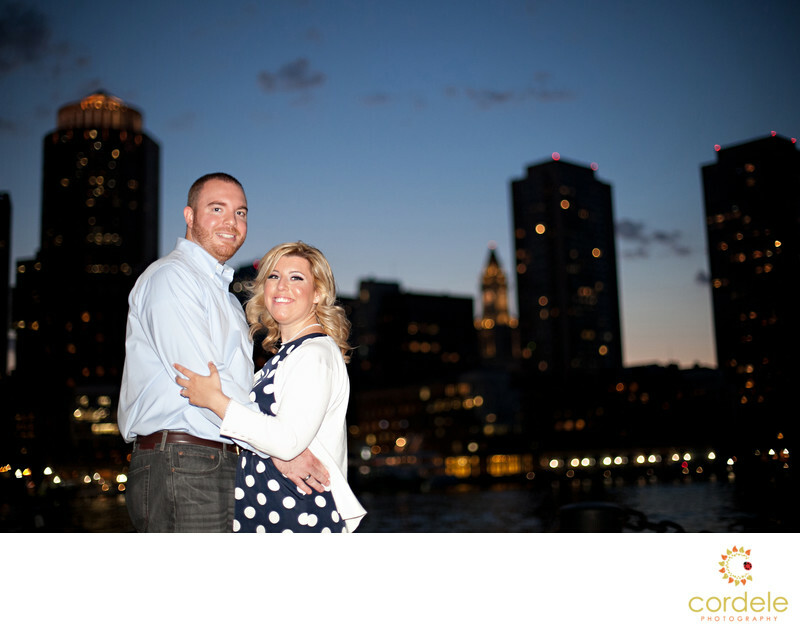 The waterfront by the Boston Harbor is one of the best locations for engagement photos in Boston. The waterfront can be found by the Boston Harbor Hotel located on Atlantic Ave in Boston. This hotel is located about a mile from Boston Convention & Exhibition Center and has been named one of the worlds best hotels. Shooting in the evening gives you a lot more options and ability to move around. The area around the waterfront can be busy and night shooting gives you more freedom to move around. Location: Seaport District Boston, MA.